Fact: Almost all people, who are researching their ancestors in England & Wales, will hit the “Getting Back Before 1837” brick wall. If you are struggling to track down your ancestors before the census records and civil registration began, then this CD will be a goldmine of information for you. Simply learning how to use these resources will vastly improve your research and so help you to overcome these difficulties! 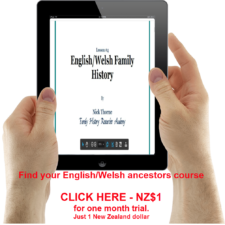 Armed with only with a better understanding of the key records pre-1837 it is possible for you to go on and find your British Isles forebears and break through the brick walls you may have encountered before in researching your family tree. There are simply millions of us who now have the family tree researching bug. We are curious about where we came from and what our ancestors did. We wonder if their characteristics have been passed down to us in our genes. It is true that never before has it been so easy for the average person, with just a home connection to the internet, to do some delving and find out who their great-grandparents were. It usually doesn’t take us more than a search of the census collections online to find that out. We can easily go to other websites, press a few buttons and find our ancestor’s births, marriages and deaths without having to leave our home if we don’t want to. We needn’t make visits to Record offices, The National Archives, family history centres or the dusty corners of city libraries to do any of this simple research and so we begin to think that everything is online. What is really frustrating is when the records seem to run out. I’m talking here about 1837, the year when you stop being able to find your ancestors fairly easily in the state run censuses, or the birth marriage and death indexes in England and Wales. These are the kind of records that have made it online, but pre-1837 we have one heck of a job to find much at all in the way of family history data on the internet. Yet it needn’t be the end of the line for your research, when you hit this barrier. All you need is some good old fashioned normal common sense, a willingness to start and apply the techniques in this tutorial and you can be off and running again. Your friends and family will be blown away with the extra generations of ancestors you may unearth after listening to this Audio CD (download audio link also now provided). 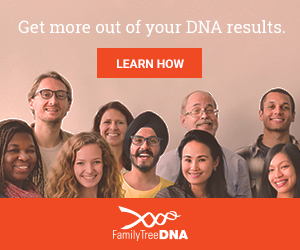 The ancestry research boom is phenomenal. If you don’t believe me then just look at the viewing figures the BBC got for Who Do You Think You Are in the last season. A mind blowing 6.5 million viewers have tuned in to see the show and its as much as a cool 2 million more than the average for this programme slot. Take it from me our hobby is popular… very popular indeed! There is little doubt that we in the twenty-first century are pretty fascinated by family research. Some of us nurture hopes of being related to the rich and famous, while others of us hope to hear about a family scandal. Or perhaps we are longing to find that skeleton that is lurking in our ancestral cupboard and just waiting to fall out into our hands? Once we take our investigation back in time and come up against the lack of state records, then we are suddenly faced with a problem. 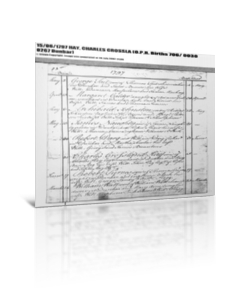 It is the need to consider a much wider variety of documents in order to find our family lines. We may, at first, baulk at the thought of the extra work that this entails. But, just for a moment, look on the bright side. Just think how much more satisfying it will be to uncover more details about our forebears than most other people can be bothered to do, or who will be skilled enough to succeed. Sure, we know that so many of the viewers of Who Do You Think You Are? are interested in their roots, but how many of them can actually sit down and do the research that we can? Because they just don’t have the time, or they think that they don’t have the skills. Some may have dabbled and hit a brick wall and then just given up. But once you learn how to crack this area, of family history research, tracing your line back into the past can massively increase the enjoyableness of your hobby. For me, there is the shear excitement of the chase through historical records. Take it from me, trips to the County Record Offices, The National Archives and The Society of Genealogists is fun. There is the detective work that has to be done that finally provides the clue which reveals one more generation of my family. All of this can be so much more satisfying to achieve than just finding great-grandparents in the census collection online. Now, yes I will agree that there are times when you will hit brick walls and nothing more can be done to find that allusive character. But there are times that, with a little extra skill, a person such as yourself could break through and track down an ancestor. 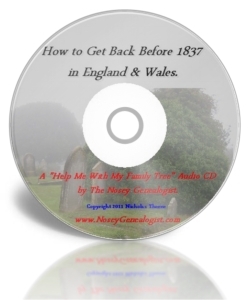 I’ve recorded Help Me Get Back Before 1837 to aid you to learn by listening to my tutorial. I explain to you the genealogy websites you need to use, the record offices and archives you can visit and what you can hope to uncover about your forebears’ lives. 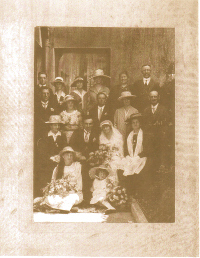 I want to share with you my personal experiences in tracing family history over the years and also what I have learnt from other genealogists that I have exchanged information and techniques with. 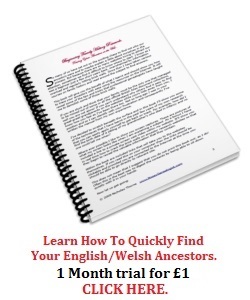 Such things as how to mine down for more detail and how to get the most from the membership sites such as Ancestry, The Genealogist.co.uk and so on. In this hobby, I have found that some people love to share their know how, while others feel the need to keep secrets. I have read countless editions of the various Family History magazines and I have gone through other peoples courses to gather all the latest gen on what these professionals are teaching. What I noticed was that these lessons were almost always offered in print. As I distilled all this knowledge into my own tutorial I realised something. Some people would prefer to listen to a sort of radio programme. Many of us are busy with other calls on our time and so the best way to reach us may not be to offer information to us that has to be read. If we can pop an audio CD into the car CD player and learn while on the move, or in the home while getting on with other tasks, then this could be a better way to learn some new techniques. Don’t worry though if you would like to read the transcript, as I will offer it as a bonus pdf that you can print out and keep. And if you would rather download the audio to your device, rather than pop the CD into a player, a link is also now provided. This easy to understand and informative audio tutorial will play automatically on your computer or CD player whether it is in the house or in the car. This means that, Fred Smith from down the road, or Jane Doe living thousands and thousands of miles away from me on the other side of the world will be able to listen to the information! No special technical ability needed, computer degree or professional expertise is necessary. I absolutely wanted to make one hundred percent sure that all you needed was a standard computer, or a CD player in order to listen to this tutorial. I wanted to ensure that all you would have to do is load the disc in your CD tray and it would automatically start playing with no fuss. As some listeners prefer to download the audio file to play, I’ll provide them with a link to do that as well. So that is what you get with this disc! Perhaps a part of me wishes that I could tell you that my CD course is going to be complex and as hard work for you to complete as a PhD, if only to massage my own ego as the creator. No matter how hard that I try, however, there is no way that I can pretend that a person of average intelligence will not be able to understand my tutorial and to straight away be able to use the information to their own benefit! 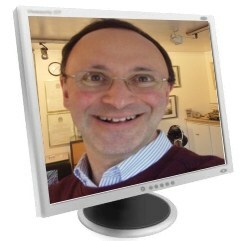 Look, here’s a challenge…I dare you to listen to the short medley of excerpts here and see if I don’t clearly and simply explain how using a particular website would add extra value to your family history research. This is a compilation of short clips taken from the CD. The actual full recording last for 60 minutes. I played this clip to one of my best friends, who is not exactly the hottest of computer users. She is frightened by anything even the slightest bit “techie”. When ever she has to use anything new on the computer, I steel myself for her cry of help. It is a nightmare for me, you see, as it is always my phone that rings and I am inevitably called in to explain, or sort it out. So when I gave her the disc and asked her to pop it in to her laptop she was really pleased that she could make it play. 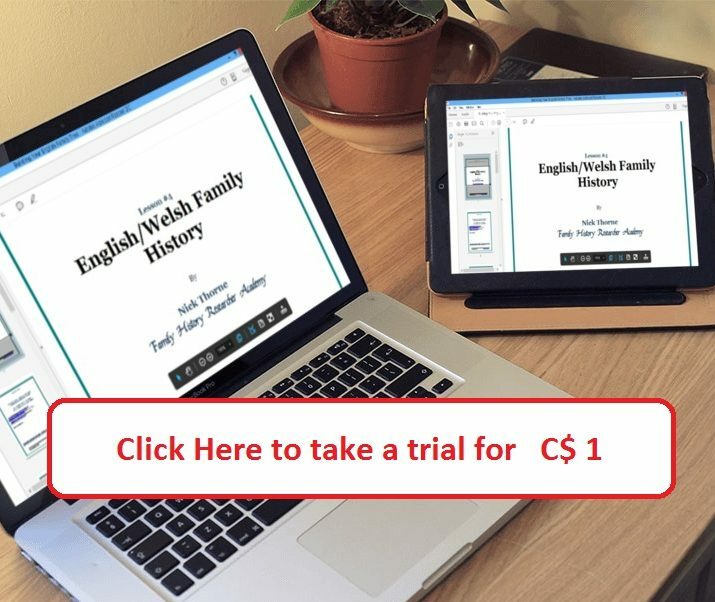 Having listened to the tutorial she went searching for an ancestor and found she was able to easily use the resources to gather the information she required for her family history project. What’s this Valuable audio CDs going to cost? I thought long and hard about the pricing of this audio and let me tell you, I came to a decision that I think you’ll love. I’ll tell you in a second but first I need to emphasise what this tutorial could do for you. 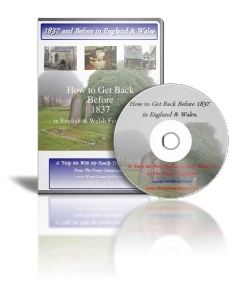 If you are searching for ancestors before 1837 in England & Wales then this audio is going to show you where and how to look for them. 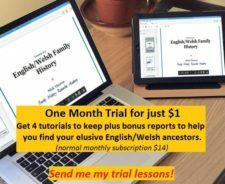 If you are already a Family History Researcher and to date you’ve just been going back through the census and BMD indexes, then there is a whole new set of resources that you are going to be introduced to. Returning to the question of how much this Audio CD should cost; I think you’ll agree that it really does present you with a resource of great value. And if we return to the reasons WHY I developed this tutorial, I mentioned that I wanted to make it available at a reasonable price so that as many researchers could use the information without it burning a hole in their pockets. I’ve seen tutorials being sold at really silly prices. Well, relax! You are not going to be asked by me to part with anything stupid for this audio CD. All you’ll ever have to invest in this is..£12.47. An amazing audio resource, a tutorial that you will be able to go back to and play time and time again! 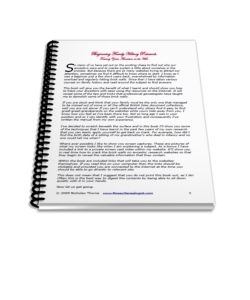 Before I tell you about them, let me reveal to you that these bonuses are worth a small fortune…especially when you consider the valuable information that they contain. Information that could cost you much much more in the lack of satisfaction if you were to give up and not find that ancestor. Knowledge, without which, you may have to turn your project over to a professional genealogist; with the added cost of using their services to consider. Learning that could cost you £40, or maybe much more, for an online course. 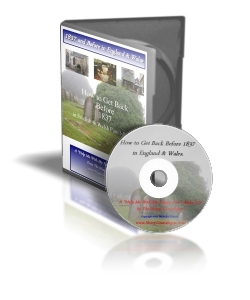 The pdf transcript of the audio tutorial “Help Me Get Back Before 1837” delivered as a download. Many people find that reading can help set the knowledge acquired in the audio into their brains. So what do you think? Don’t you agree that I’ve provided you with a really great deal here? I hope you do. 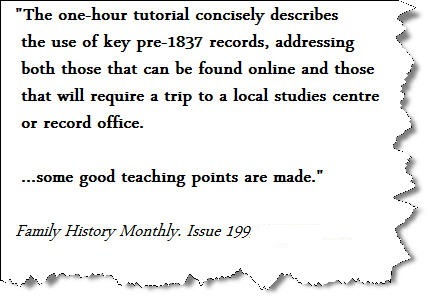 And look, I’m so totally convinced that this Get Back Before 1837 CD Tutorial will add plenty of knowledge to your family research tool box that I’m putting my money where my mouth is and issuing you with my cast iron guarantee. I want you to understand that I am genuine. I’m no one trick pony, nor am I a hit and run opportunity seeker. I’m here for the long run and I dearly hope that you’ll become a customer of mine for life. Use the information from this CD tutorial for a month and try out the techniques. See for yourself that they work. If, at any time during that one month you decide that it is not everything that I promised then simply send it back to me and I will give you a prompt refund, less the postage, with no hassle. 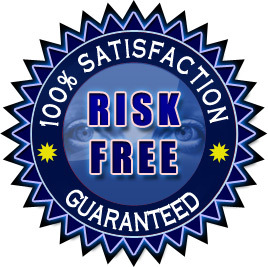 I don’t have any weasel clauses to this guarantee, I won’t ask you to explain why, or ask you to jump through administrative hoops; just send me the CD and a note asking for a refund and I will promptly refund you the amount paid less the postage. Make the move today and join a growing band of family historians who are experiencing the thrill and joy of getting back before 1837. Look, there really is nothing to lose, and to be honest with you, an enormous amount to gain. 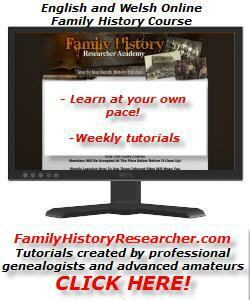 If you learn the way to get back in early records you will be a better Genealogist and know where to look for your forebears. This tutorial will explain to you just how to go the extra mile simply and easily. 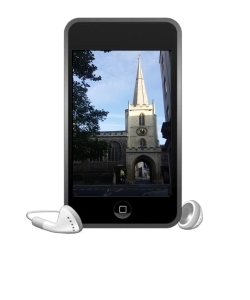 Remember this audio is as user friendly as they come! Auto start CDs that work on computers and in domestic CD players or in the car. Free transcript to print out and read. Download link for those without a cd player. To invest in this CD tutorial: use this button below.